Childish. Dreamer. Head in the clouds. Hopeless romantic. I’ve often had those words said of me, and usually with a bit of a negative connotation (as in I should get my head out of the clouds and focus on the real world). But with today’s musing, I wonder if perhaps they’re not a bad thing after all, and maybe even positive attributes. You see, yesterday I was walking through Yorkdale Mall, and a small moment caught my eye. I was passing the newly opened Disney store, and of course my gaze was drawn to all the brightly coloured, sparkly, magical-looking displays. And then I saw… a little girl. She looked no more than 5 years old, and had a striking resemblance to me at that age – dark brown hair with bangs, big curious chestnut brown eyes. 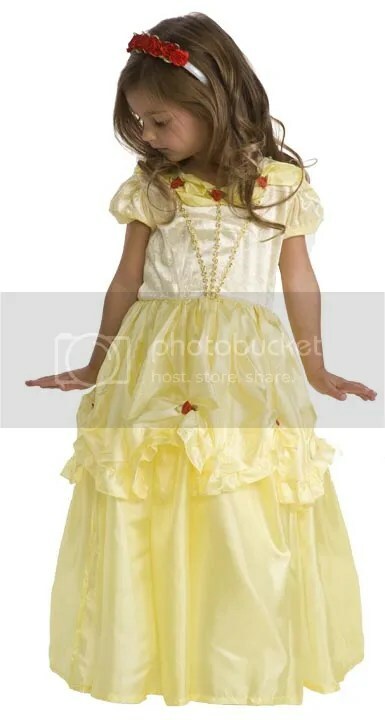 She was holding a little Princess Belle dress on a hanger against her torso, the way we so often do to imagine what some clothing might look like on us before deciding whether to try it on. She was clearly enthralled with the delicate yellow-gold fabric, the sparkles, and then she twirled. As all princesses know, the twirling ability of a dress is very important. After a happy twirl with the enchanting dress, she looked up with a bright smile, and eyes lit up with pure delight and joy. Her next mission was probably to find mommy and try to get the dress. This whole series of events took no more than maybe 15 seconds, but it brought on an irrepressible smile, and was truly heartwarming. I don’t know anything about that little girl, who she is, why she was drawn to my favourite Disney princess (probably had something to do with the hair colour), and I’ll probably never see her again, but that moment had in it a spark of magic. In that moment, I remembered, remembered being her age, remembered when life was so much simpler, and my biggest concern was what today’s adventure would be. So it made me wonder, is being a dreamer, or being childlike, really that bad? Is being a hopeless romantic really hopeless? When I was first hatching the ideas for this blog, a title that I considered was Bright Pink Lip Gloss. Not only do I always have it in my purse, but really, what’s not to love about lip gloss? It feels nice, it’s not as cumbersome or severe as lipstick, it smoothes and hydrates, and it’s fun! This particular one is my favourite. 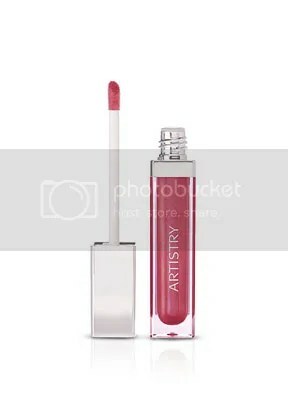 It’s called Light Up Lip Gloss by Artistry, and my personal favourite shade is Glitz, a gorgeous, perfect pink. The shades are all very versatile, and the gloss provides just the right amount of tint. It also has just a hint of cooling mint, which feels great on your lips, and a built-in mirror and LED light so you can easily apply it anywhere – great for movie theatres or dark cafes/nightclubs! Some quick details about the gloss: it has no SPF, and it’s not a plumper, though I do feel a slight tingle from the mint. It really is an effortless, lovely kiss of colour on your lips. And it’s less than $20 (available here), which makes my wallet happy. I’m never without it, and I know I love seeing what people use that is a good product. Any make-up must haves in your purse or makeup bag?